After our cycling tour in Denmark the previous year I started with a schoolfriend our first trip to Sweden. We took the ferry from Kiel to Gothenburg, and were slightly better equipped than the previous year. We set off on 26 June. My camera worked well this time but the art of keeping a diary was not very well established beyond a short list of things for some days. View of Kiel as we leave. Looking carefully you can still see the remnants of the Weipert cable car. Drydocks in Gothenburg, very similar to Kiel. After leaving the ferry we hit the road. We were surprised by the hilliness of the roads towards Trollhättan. We also had the first broken spoke. 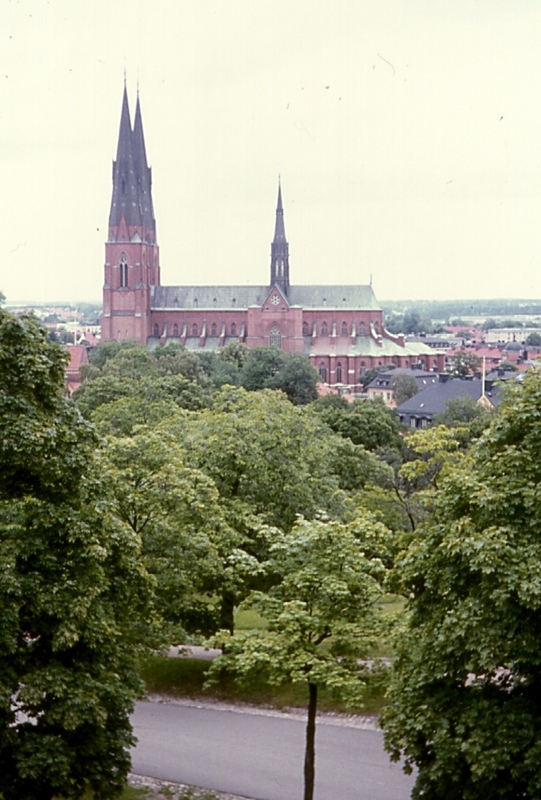 We stayed for a day in Uppsala, one of the two university towns in Sweden, the other being Lund in the South. We had a look around the cathedral and the university which features Sweden’s largest library. The trip to Stockholm was ok until we arrived in Stockholm which we needed to cross to reach the the campsite south of the city. Most bridges and tunnels were closed for bicycles and also our maps were not detailed enough for city level navigation. Nevertheless we found the campsite. We stayed four days in Stockholm site seeing. We saw the royal palace, Gamla Stan, Drottningsholm, the Vasa and other things. We used Stockholm’s excellent public transport for our exploration. We stayed here for a day to repair my bicycle that needed a new rear axle. 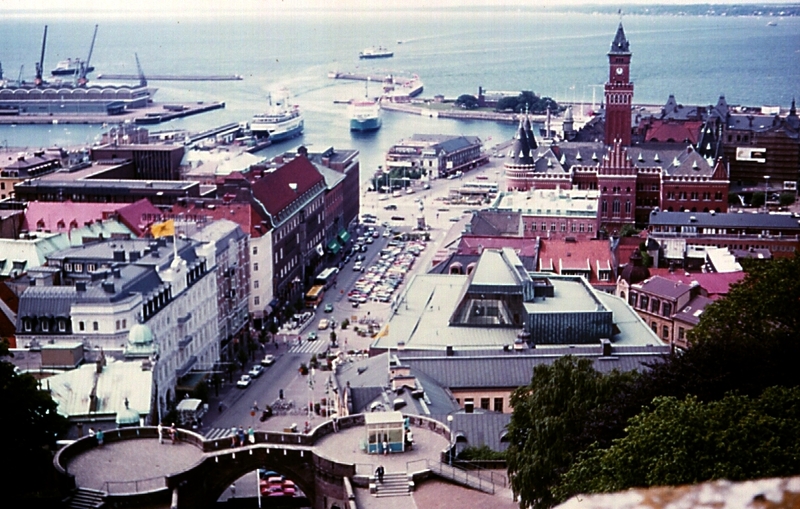 We travelled from Kalmar to Helsingborg as we needed to be back home before the end of the school holidays. We arrived in Kiel by ferry from Korsør. In total we covered at least 1593km by bicycle. We managed to repair our bicycles on the trip and our main conclusion was that we needed a better cooker and less clothes.